The Guzzlers play live music for every event. We have a natural talent for capturing the attention of many audiences. Our band plays country, rock, classic and southern rock, soul, disco and blues. Come join The Guzzlers for some live music at Goode Co.™ Armadillo Palace every Tuesday night! 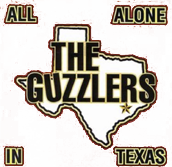 The Guzzlers is the premier party band in Houston, Texas, that will take you and your friends on an unforgettable experience. Book us to play music at your wedding, corporate, or special event in Texas, Louisiana, Mississippi, Florida, and Oklahoma. We played our first show on groundhog day 1995. We didn't see our shadows so we have been playing ever since. What sets us apart from all other bands is that we know how to play exactly what our fans want. 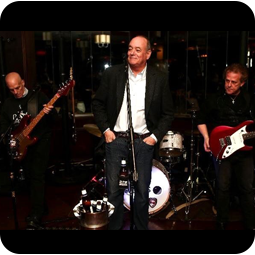 We can adapt to any musical style and will provide the comfort and peace of mind you need at any special event. Get your friends, family, or even co-workers relaxed and dancing to our fun and upbeat music. We have a talent for rousing public interest when working for different charities to gain support for many different causes, especially when we play any of our 600 cover songs that people know and love. We have gained a large following by playing our entertaining party music in Goode's Armadillo Palace from 6pm to 10pm every Tuesday. We have 10 songs on iTunes from our original CD (All Alone in Texas) that was released in 2000. Monday - Sunday: 12:00 p.m. - 12:00 a.m.